Today, car manufacturers include at least one computer in motor vehicles.This computer’s main function is to monitor and adjust engine transmission operations. The computer receives input information from different sensors. The computer controls spark plugs, idle speed, and fuel injectors so as to get the best performance from your motor.. To get the most out of your car’s computer, have it checked regularly for updates and proper operation. Breuer’s Auto Service technicians are able to diagnose all the electronic parts in your vehicle. Drivability is the degree of smoothness and steadiness of your car’s acceleration. Most modern cars are filled with on board computers that continuously check the readings from various sensors detecting drivability problems. When this happens you will receive a warning message on your car’s dashboard. Come to Breuer’s to have your car diagnosed for drivability issues. Do not ignore your vehicle’s electronic systems. 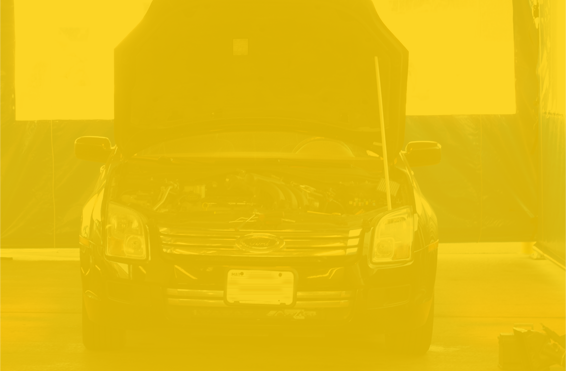 Trust our experts to repair your vehicle properly the first time around! A poor driving experience can often be related to a malfunctioning computer or driving controls. Anti-lock Brake Systems (ABS) ensure that the wheels do not stop rotating during braking, preventing your car from skidding and offering greater control. If your ABS light comes on visit Breuer’s Auto Service where we will be happy to diagnose and fix the problem. A brake hose is a tube carrying pressurized brake fluid from the master cylinder to the brakes. A crushed hose can cause a lagged or slow brake and a leak in the hose can cause a lagged or slow brake and a leak in the hose can cause the brake or the entire brake system to fuel. These don’t have to be replaced often it should be replaced at the first sign of cracking or wear. Brake pad problems can usually be identified by squealing brakes. If your brake pads deteriorate completely you’ll hear a grinding metal on metal sound when braking, meaning that it’s too late and you are ruining your rotors or drums! The brake caliper houses your brake pads and fits around the rotor like a clamp, pressing the pads against the rotor when you brake. A brake caliper problem could cause uneven braking, making your car slide forward when you brake. Uneven braking can cause your car to slide out of control in bad weather conditions. So please contact Breuer’s if you are experiencing any braking issues. In a disc brake system, rotors are attached to your vehicle’s wheels. When the brake pads grip the rotor, they bring both the rotor and wheels to a stop. However, the friction causes grooves and cracks to appear over time. Resurfacing brings the rotor back to it’s “like new” condition, reducing squealing and wobbling. Breuer’s will give your rotors a thorough inspection and recommend to you the best course of action. This service hooks into the cooler lines and completely flushes the transmission fluid, thereby replacing 100% of the fluid. For best results you should perform this service along with the traditional transmission service. By doing both services together, you start off with clean fluid and a new filter. Keep in mind that both of these services are done for maintenance and if you are experiencing shifting problems, additional repairs may still be needed. Basically, an engine control system is an on board computer in your car. Like all computers, the engine controls are composed of hardware and software. Automotive engine control systems are responsible for regulating exhaust emissions, and providing increased fuel economy. To get the most out of your car’s powerful technology, make sure your engine controls are working properly. By replacing the shocks and struts on your vehicle you can maintain the ride quality, handling and performance of your vehicle. Shocks, struts wear out very gradually and most people can’t feel the difference until they are replaced. Any time a shock or strut is leaking it is impossible for it to do it’s job properly and should be replaced. On most vehicles, when the front struts are replaced and alignments should also be performed. Maintaining your car’s AC system is very important. Heating and AC systems may break eventually with usage, hose pipes clog and drip if not serviced, causing reduced efficiency in your heating and cooling capabilities. Regular maintenance will keep your system operating at peak performance. Indication that your A/C System may have issues. Your Air Conditioning blows only slightly cooler air compared to exterior air. The defroster takes longer than typical to operate, or does not operate. Short drives and infrequent oil changes are two factors that lead to formation of sludge in the engine. This gelling of the oil can cause premature engine failure. Oil change intervals depend on the type of driving done. If most of the driving is open highway driving with little stop and go the interval could be 5000-7500 miles before an oil change is required. But if the driving done is short trips and a lot of stop and go the oil should be changed every 3000 miles. Some vehicles have a monitoring system. Proper Wheel alignment is important for your car to handle properly and your tires to wear evenly. An out of alignment vehicle can result in diminished fuel mileage, abnormal tire wear, extra wear and tear on suspension components and a possible pull to one side. The old myth that “if a car dives straight, the alignment is fine” is just that – a myth. The alignment angle that will cause tire wear will not cause a pull. Also, the angle that causes a pull can not cause tire wear.